Lee Lin mother-flipping Chin, a name that has struck admiration and intimidation into the hearts of Australians for more than 30 years. She’s finally done it; she’s left us. It’s hard to imagine SBS, let alone Australian television without Chin presenting the world news on weekends. 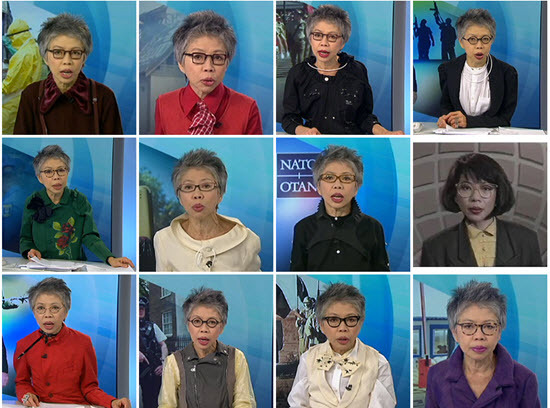 For many of us, Chin has been a reassuring constant on our screens — a reminder that no matter how unpredictable things became, something you could always depend on was that Lee Lin Chin would be sporting wearable art on national television as she guided you through the day’s world events. There was a short, visual tribute in which Chin served us world stories across decades, serious ’80s fashion, and some endearing bloopers. And then that was it: the end of a glorious era. But let this not be a time of mourning. Chin is not dead (she is in fact, immortal) and she has already hinted at forthcoming media gigs with her production company, All The Chin’s Men. She’s sending us a clear message, here: she’s not going anywhere; if anything, her career is now evolving into its most glorious iteration yet. So instead, let this be a time of celebration and awed reflection on the career, thus far, of a living legend. 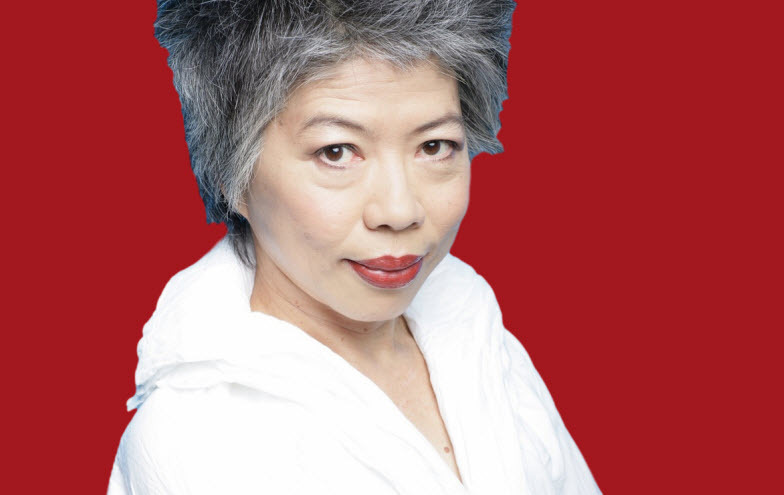 Lee Lin Chin elevated the art of news reading. With her bold fashion choices and her distinct oratory style that lent a very easy authority, Chin showed us that what happened around the world was pertinent and pressing, that it affected even a relatively young island country. As a global citizen herself (Chin was born in Jakarta, raised in Singapore, and speaks four languages) who began presenting the world news in the wake of a racist White Australia policy, she helped the nation embrace multiculturalism. Her weekly presence on our screens was a game-changer for Asian Australian audiences, including myself. Chin provided a vital and regular reprieve from a sea of homogeneous casting and horribly stereotyped Asian characters, which dominated narrative television. At the desk, she was everything from commanding during some of the darkest moments in modern history to delightfully thirsty when she was caught on air perving on a male reporter. But always and in-between, she was professional. Since landing her first SBS gig as a translator for Chinese language films, Lee’s career has been varied and impressive — from hosting and acting, to radio presenting and assassination. (Check out “Broadcast Battleground”, The Feed’s spoof of the newsreader fight scene in the film Anchorman.) Of course we don’t want Lee Lin Chin to quit reading the news. No one could fill those patent leather shoes and asymmetrical outfits; the tributes from broadcasters as well as her fans (“Lee Lin Chin” became a top trending Twitter topic following the announcement of Chin’s resignation) are testament to that. But with beer-swilling skills to rival Bob Hawke and a deliciously acerbic Twitter account (managed by her co-conspirator Chris Leben) which has garnered a cult following, a hit comedy book called Iced Beer and Other Tantalising Tips for Life, Chin won’t be gone for long. Of course, no one but the enigmatic Chin, who is notoriously private and doesn’t even own a mobile phone, knows exactly what her next move will be, though surely a Gold Logie is on the cards. A beer-fuelled evening on the Gold Coast surrounded by jacked young men fawning over her? That’s a party Lee Lin Chin couldn’t resist, and now she has the weekends for it. Michelle Law is a writer whose works include the stage play Single Asian Female and the SBS series Homecoming Queens. SBS anchor and host Lee Lin Chin has announced her resignation after 30 years as a newsreader for the broadcaster. It took a while, but Wendy Bacon has hit back at that Miranda Devine article. And other media tidbits of the day. Good luck, Lee Lin Chin, in whatever you choose to do next. You gave great news to my aged Dad, a news nut who, being extremely hard of hearing, said that you were the only newsreader who could articulate clearly enough for him to understand – the only one. Well done! of a film star then so be it. A competent reader (creator of audio books) of books for children could read the news. I disagree. I cringe when a newsreader shows, by inappropriate pauses, mispronunciations etc that they have no idea of the context of what they’re reading. Her comments are a matter of record but you don’t seem to be addressing my remark (strictly) but, instead, are conveying that she devoted the required preparation to the task. On that account I am in agreement. 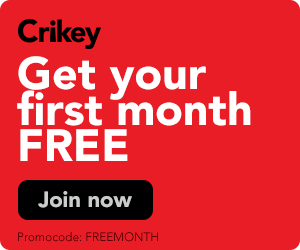 Don’t forget that fabulous “Eat Lamb” on Australia Day ad. Lovely article. Just sorry you didn’t include a photo of Lee Lin’s final outfit. It always surprised me that a voice with such timbre could issue from such a tiny frame. The cut glass enunciation of English words which defeat most anglophonic newsreaders was as the music of the spheres and her ability to pronounce any name spoken anywhere on the planet the way the owner might was second to none. Equalled only by the Sainted Mary Kostakidis. It is clear that Janice Petersen can fill the gap.